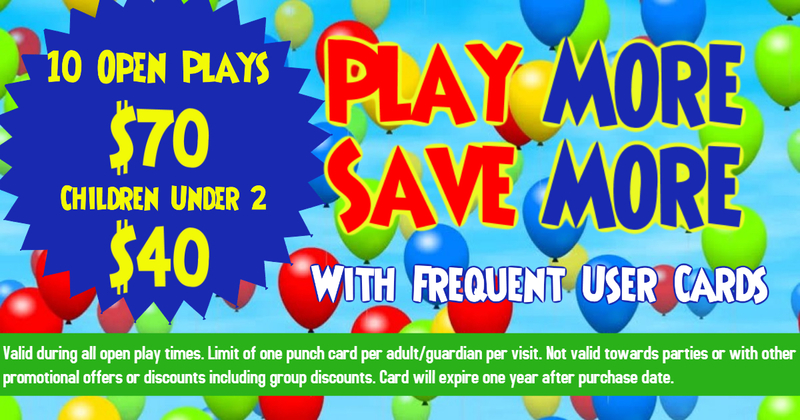 Free entry for non-playing adults and non-mobile children everyday if not participating. 2 Froggy Jumps Inflatable Indoor Party and Play Center is your source for fun and affordable birthday parties and more! Choose one of our affordable packages. Visit Us Today Inside Cherry Vale Mall Lower Level!